Windows 8 File Explorer was different in the way that it would open Libraries instead of the default This PC. Windows 8.1 changed this and it opened This PC when opening File Explorer by default. Microsoft has changed the default behavior once again in Windows 10. In Windows 10, when you click on the File Explorer in task bar, it opens quick access items by default. Quick items consist of frequent folders and recently opened files. This may seem a good option if you open the file explorer for frequently opened items. But my preference is to open This PC when I open File Explorer as I can open the frequent folders and recent files from the left hand pane right within the same Windows Explorer. If you are running Windows 10 and want to change the default behavior of Windows File Explorer, you may follow the steps below. 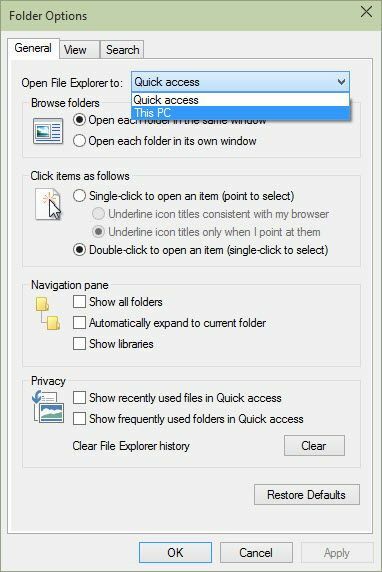 There are two ways to change the settings of Windows 10 File Explorer to open This PC instead of Quick Access. For normal users, the first method should be fine and for techies the second method should also work as it involves registry editing. 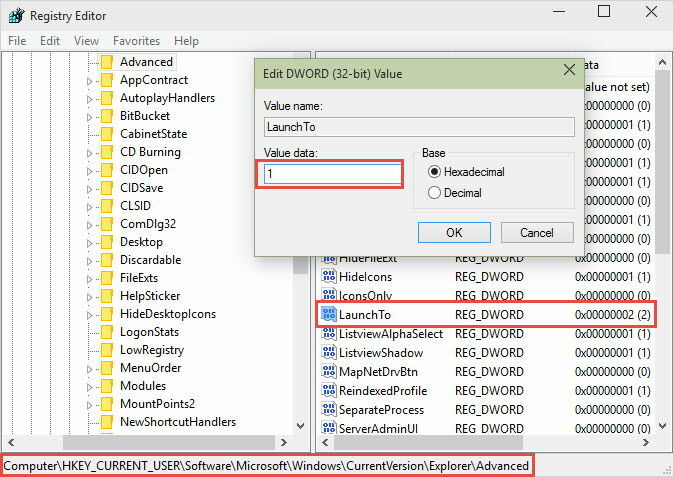 You can change the same setting as mentioned above using the Windows Registry. This is especially useful for System Administrators who want the same setting to be distributed across the network. The setting is instant and you don’t need to restart Windows Explorer for the setting to take effect.